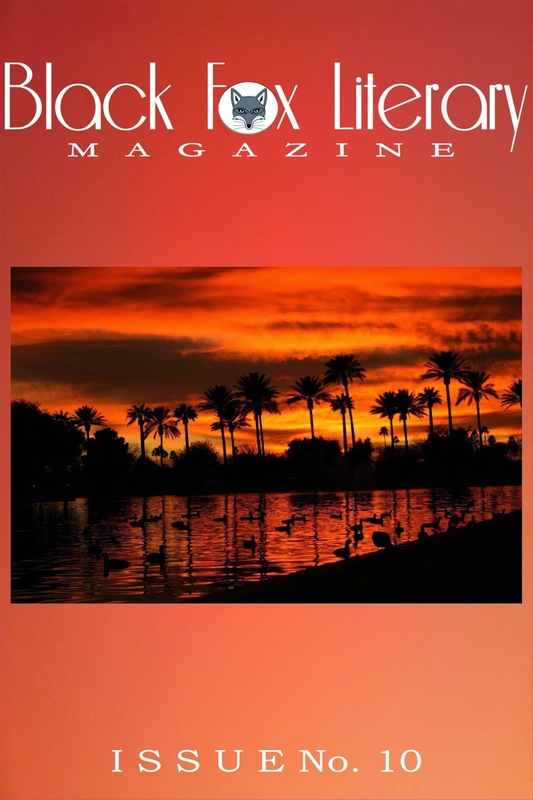 Racquel Writes: The Summer Issue (#10) of Black Fox is Available! The Summer Issue (#10) of Black Fox is Available! Black Fox Literary Magazine celebrates 3 years of publication history with Issue #10! Features work by: Mathieu Cailler, Cara MacNeil, Miranda Stone, Grant Riedel, Ethan Noone, Stephanie Niu, A.J. Huffman, Chelsea Reeser, Sandra Kolankiewicz, David Klugman, Amy Friedman, R.K. Gold, Chelsea Eckert, William Ogden Haynes, Joanell Serra, Melissa Grunow, Aleyna Rentz, Paulette Perhach, Brad Garber, Joshua Hall, Alicja Madloch, Holly Day and Michaelsun Knapp. Cover artist: Marjani Viola Hawkins. Read it here. Buy it here.